WaveBrake technology reduces splashing up to 40% for a safer environment, cleaner floors, and more efficient mopping. Made from structural web-molded plastic and premium tubular steel. Arm has a contoured comfort handle for a better grip. 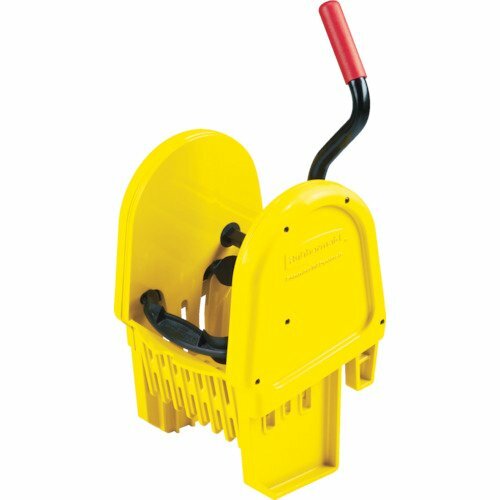 Down-Press wringer efficiently presses water down into bucket, has contoured comfort grip, and is the system preferred by floor techs. Color-coded for zoned cleaning systems. Helps earn Leadership in Energy and Environmental Design (LEED) credits. Made in the USA.